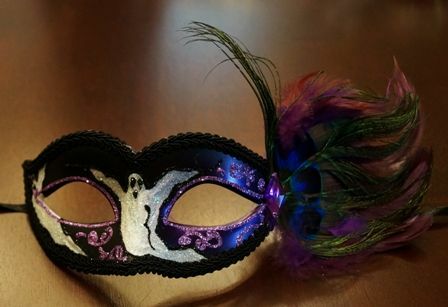 Halloween masquerade mask is handpainted with ghost design. Made out of a durable plastic core and decorated with a plume of feathers. Easy to wear this halloween accessory with the black ribbons ties.